ELIE SAAB introduces the new fragrance Rose Couture, it is a flower, a colour, a fragrance and a dream of femininity. The very symbol of femininity is the endless source of inspiration for Elie Saab. The Couturier exalts his signature bouquet of white flowers with a whirlwind of rose petals and adorns his iconic first fragrance with the most feminine of colours. A Couture pink naturally. 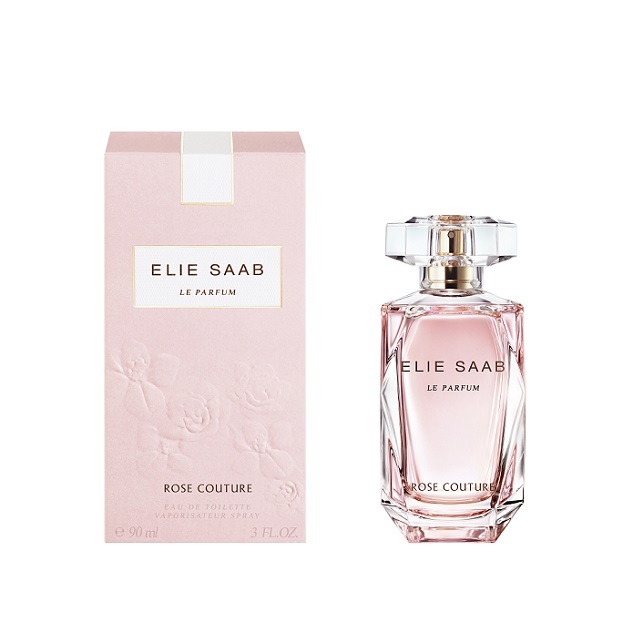 This is a dazzling expression of Elie Saab's aesthetics, Rose Couture explores a theme that is dear to his hearts - flowers, where they blossom each season in his collections, embroidered with limpid beads of dew, sculpted in tulle or taffetas, fashioned into petals of fluttering chiffon. Among the flowers of his fabulous imaginary garden, it is the rose that most often lends its rich palette to the Couturier. Perfumer Francis Kurkdjian has harvested this Rose Couture from the heart of ELIE SAAB Le parfum, whose radiant Orange Blossom is brightened by Rose Petal Honey, Magnified and showcased in the new eau de toilette, the rose asserts itself more majestically. In the soaring top notes, it blends with fresh Peony into a whirlwind of silken petals, The delectable dew melts into an exquisite Rose Nectar, enhanced with fruity facets and softened with a dash of Vanilla. This addictive accord is carried by a breath of Jasmine as sheer as silk chiffon. A sumptuous woody base bolsters the airy composition, just as a tight-woven fabric adds structure to a flowing sheath. The voluptuous satin of Sandalwood. And the dark velvet of Patchouli which, by contrast, exalts the freshness of these radiant floral materials. The Rose Couture is tinted with a delicate shade of pastel pink, a colour reprized by the box that shelters its iconic, faceted bottle. Embossed with a subtle rose motif, the box conjures the flowers that blossom on the Couturiers's most sumptuous creations.